Written, performed, and produced by Clayton Waller. Engineered and mixed by Dylan Alldredge at Skinny Elephant Recording. Mastered by John Baldwin. Artwork by Mark Slawson. Clayton Waller, the front man and creative force driving southern indie rock band Rock Eupora, hasn’t stopped for a second since leaving his hometown of Jackson, Mississippi for Nashville. With two albums previously released, his new self-titled record, and an impressive touring schedule, Waller has positioned himself as an artist to watch in the Nashville alternative scene. The lead single from Rock Eupora (self-released), “It’s Gonna Get Better,” is an appeal by Waller for himself—and anyone else listening—to push through the temptation to become isolated when life feels like a fight that can’t be won. Layers of hook-laden guitar and an energetic rhythm lift the song; by the end, following Waller’s instructions to “hold your head up high” seems easier than before. “Real,” the opening track, is immediately captivating. Drawing on Rock Eupora's signature fuzz pop sound, “Real” polishes that style and indicates a project that has moved into more advanced territory. Fully written, performed, and produced by Waller himself, Rock Eupora is a stunning successor to 2016’s Soon the Sun Will Come, which earned favorable press from outlets such as Nashville Scene and PureVolume. “I Love You So Much” is so endearing, it nearly disguises the complex emotion of lyrics such as, “I am scared that I would slowly grow to loathe you and vice versa, so I must bid you adieu.” It proves that neither substance nor form are sacrificed on Rock Eupora. Instead, they work together to form a catchy and meaningful take on self-doubt. “People In My Head,” however, is the stand against negativity that Waller needs to take. Fully charged, heavily distorted—it’s the kind of pure rock that feels almost anthemic. In a live setting, Rock Eupora materializes as a full band for an experience that Waller describes as “lots of transitions and little downtime … It's definitely a high-energy rock show.” Just like the album, Waller’s aim is to make every second of his time purposeful; there’s no room for complacency. A recent successful tour of the east coast proves that people are starting to take notice of the up-and-coming band. Waller has plans to embark on a west coast tour following the release of Rock Eupora. It’s only a matter of time until Rock Eupora is captivating large audiences nationwide. 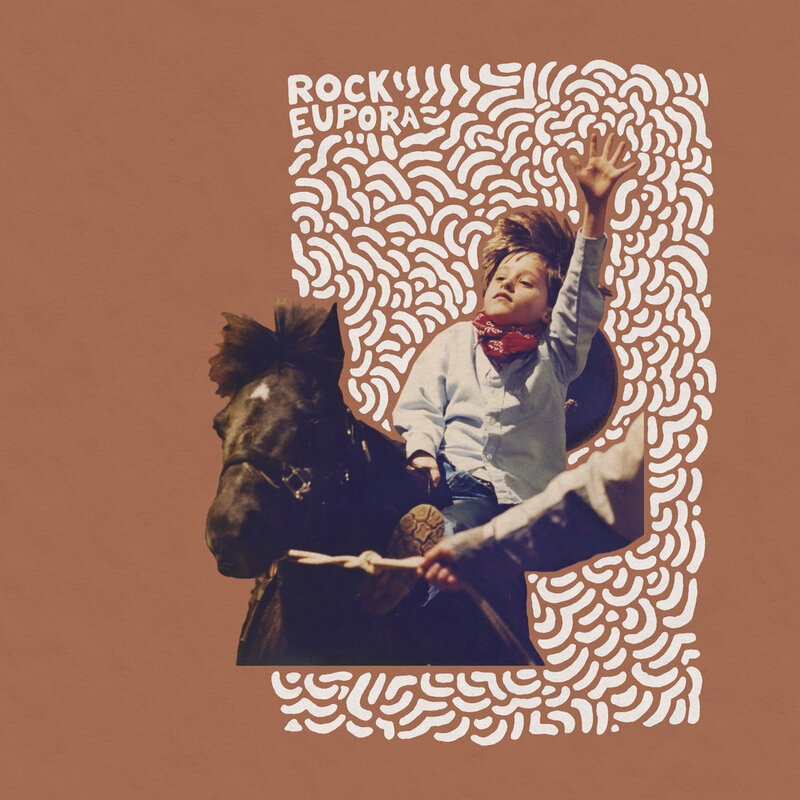 Creative and surprising in the best ways, Rock Eupora is an album that will set Waller up for a long, fruitful career as a musician and songwriter. His perspective on art is refreshing—reflective of his belief that, “In the end, life does not revolve around me—and strangely, that's a beautiful and freeing feeling.” Within that freedom, we can rest assured that this is only the beginning for Rock Eupora.